This morning started up like any other, with us eating breakfast, going over the dive plan, and getting our gear set up. The water was smooth, and fairly clear on shore. That doesn’t always mean it will be clear deeper, but this morning it was there too. 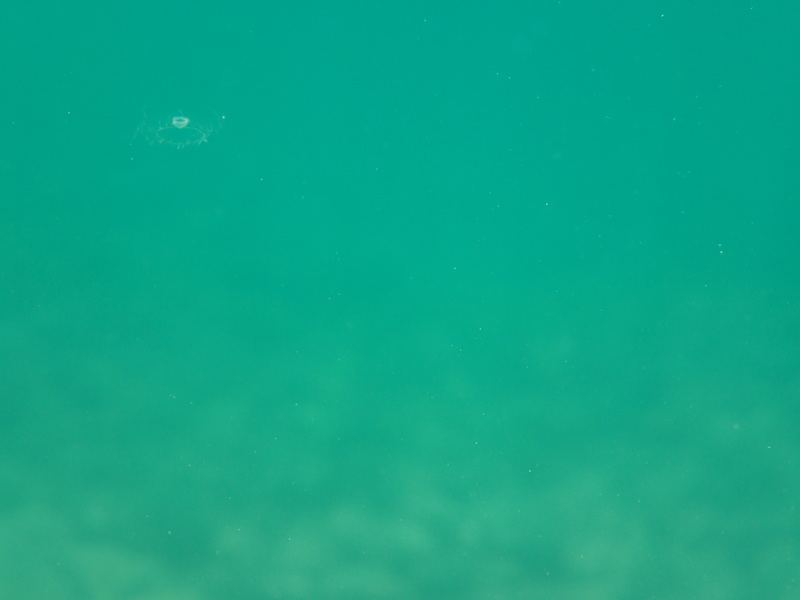 As we swam out, we all started to notice small blobs floating around. Upon closer inspection it became clear that they were jellyfish. And they were everywhere! Once we got deeper, the fish were also clearly excited about the jellyfish too, and there were large aggregations of fish a few meters off the bottom going after any jellyfish that floated by. All this made it a great dive. But it got even better. On my way back to shore, I was swimming along and noticed the water was rippling all around me. I then realized I was in the middle of a school of thousands of Nkupi fry, and both parents were circling around me nervously. We’ve seen a good number of them, but this was the closest I’d been, and the visibility in the water made it even better. I’ll talk more about this fish at some point, but they’re the biggest cichlid in the world, they are amazing parents, and they’re delicious. This afternoon in our second dive the waves had kicked up a bit, and we only saw a few jellyfish, but it was still a great dive. To cap off the day, Kelly and Joe went into Mplungu to run some errands, managed to refill our peanut butter and soda reserves, and as a bonus found hot sauce and chocolate bars! it will be a great dinner! As we plow through the latest snowbank or plod along in the cold mud, all this beautiful, sunny scenery makes me jealous. I love to eat fish but all these look too beautiful to eat. Previous PostPrevious Cichlid of the Week: Cycanthopharnyx furcifer – will you come and party in my (sand) castle?